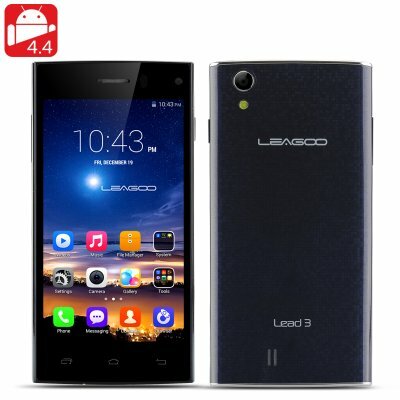 Successfully Added LEAGOO Lead 3 Android 4.4 Smartphone - 4.5 Inch 960x540 IPS Display, MTK6582 Quad Core CPU, 2x WCDMA/GSM SIM Card Slots (Blue) to your Shopping Cart. The new cell phone LEAGOO Lead 3 has been composed and fabricated by the Oteda Group, which was conceived in 2013 with the plan of entering the universal business sector for cell phones. To start with an MTK6582 Quad Core processor is housed inside this phone that can reach speeds of up to 1.3GHz to provide plenty of power. This chipset performs four times as many number of procedures than a solitary center processor and that implies that this is an influential mobile phone. Coming with Android 4.4 as the operating system, the developers working on the LEAGOO phone did not cut any corners with this device. Kit Kat is a big step up from previous versions of Android 4.3 as it was made to be compatible with more devices that previous Android versions couldn’t support. The Immersive display feature KitKat comes with hides everything while reading or watching a movie. If you want to get back the status bar and navigation buttons simply swipe the edge. The memory improvements that KitKat brings are designed to make multi-tasking smoother as well. 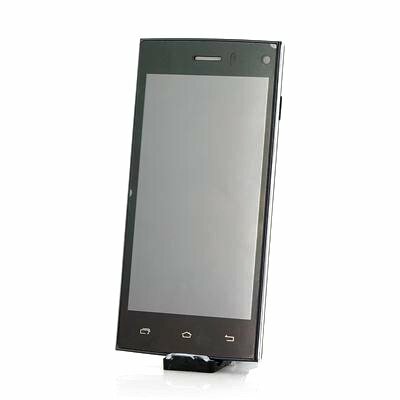 With a 4.5 Inch IPS capacitive touch screen and a QHD resolution of 960x540, this cell phone offers hand-held fabulous viewing and interacting. Using IPS (In-plane switching), which is a screen technology used for LCDs (Liquid Crystal Displays) that offers clear images and stable response time as well as process high speed signals without data loss.